Wormburner – A Hero’s Welcome (Dive) A fun power-pop band that your frat-boy brother would love to play at his next kegger. 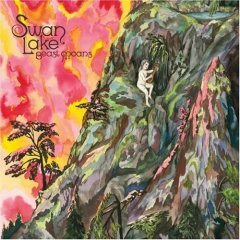 Swan Lake – Beast Moans (Jagjaguwar) The latest product of the incestuous Canadian music scene lacks cohesion. The Hold Steady improve their take on “Springsteen” sound with a new maturity.